The Los Angeles Kings have activated forward Marian Gaborik from injured reserve, Kings President/General Manager Dean Lombardi announced on Nov. 26. The 6-1, 205-pound native of Trencin, Slovakia appeared in 54 regular-season games last season with the Kings, recording 22 points (12-10=22). He also appeared in four postseason games with the Kings recording one point (0-1=1), a plus-2 rating and two penalty minutes. He has missed the first 21 games of the season with a lower-body injury sustained at the World Cup of Hockey. Selected in the first-round (3rd overall) of the 2000 NHL Entry Draft, Gaborik has appeared in 933 career NHL games with Minnesota, New York Rangers Columbus and Los Angeles, collecting 773 points (386-387=773), a plus-97 and 450 penalty minutes. 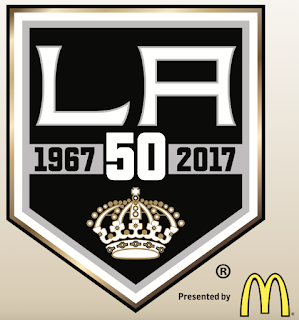 For half a century, the Los Angeles Kings have been bringing excitement, passion and Stanley Cup glory to Southern California, delighting our deeply loyal fan base by being a leader in incredible events and employing the greatest players in NHL history. The legacy continues as we celebrate our 50th Anniversary, striving for innovation in a constant pursuit of excellence with a first-class commitment to our fans and partners, and with an unmatched pledge to improving our community.